Teaching about the history of the Holocaust is an important moment in the school year. It is essential to be prepared and know your students’ needs in order to teach this subject in a successful, sensitive and meaningful manner. We propose a method based on the best practices and recommendations from international experts on the topic. Some are adapted from the International Holocaust Remembrance Alliance and the USHMM websites. The Holocaust was the systematic persecution and murder of 6 million Jews, organized by the Nazi State and its collaborators from 1933 to 1945. In addition to committing genocide against the Jews, the Nazis committed genocide against the Roma and the Sinti. Other marginalized groups were also persecuted during this period: people with disabilities, homosexuals, Slavic people, political opponents, Jehovah Witnesses. Visit our History of the Holocaust web page to learn more. Use case studies, survivor testimony, letters and diaries from the period to show the human experience and to ensure that students understand that each “statistic” was a real person, an individual with a life before the Holocaust, friends, and family. Emphasize the dignity of the victims at all times. Click on the map below to access the interactive map showing the Nazi invasions and their consequences for Jewish populations throughout Europe. Avoid using the language of the perpetrators, which mirrors their views. Terms like “extermination camps” should be replaced by killing centres or death camps. There is a danger of distorting the historical narrative if it is shaped to better serve the particular moral lesson that teachers wish their students to learn. Learning about these events can sensitize young people to modern-day examples of prejudice and injustice. But moral lessons will not be well founded unless they are based upon an accurate and objective reading of the historical record. By applying the historical method, students will better understand complex situations of the past, in which people had to make choices and decisions. Students should study the context of the dilemmas faced by these people. Only then might people’s actions (and inaction) be understood, so that we may draw meaningful lessons today. The history of the Holocaust raises difficult questions about human behavior and the context within which individual decisions are made. Be wary of simplification. Seek instead to convey the nuances of this history. Allow students to think about the many factors and events that contributed to the Holocaust and that often made decision making difficult and uncertain. Students should have opportunities to critically analyze original source material and to understand that analysis, interpretation, and judgment must be based on a sound reading of the historical evidence. The Holocaust can be taught effectively without using any photographs of piles of naked bodies, and the overuse of such imagery can be harmful. Respect for both the victims of the Holocaust and for your captive audience in the classroom demands a sensitive approach and careful thought to what constitutes appropriate material. 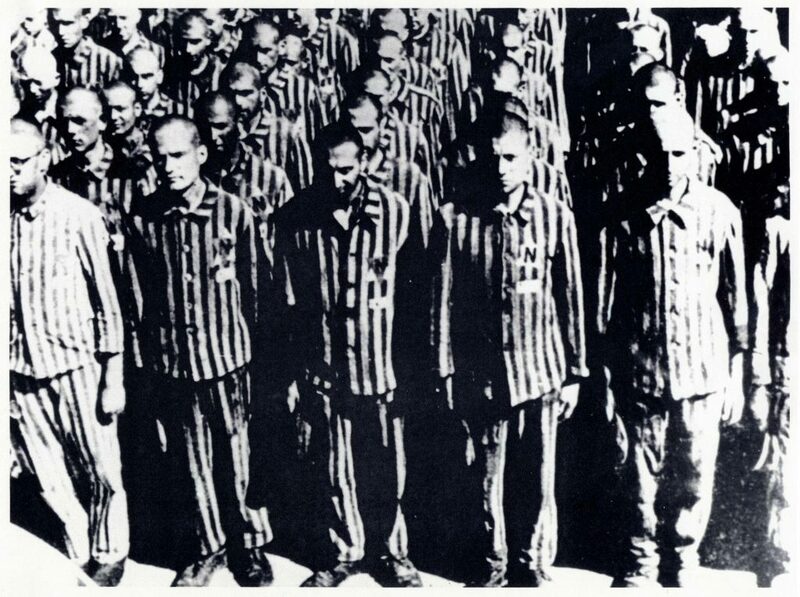 Above: Dutch Jews standing during roll call at Buchenwald concentration camp, February 28, 1941.This picture illustrates the dehumanization of prisoners who have all shaved heads, wear the same uniform and are forced to stand for hours. A study of the Holocaust should always highlight the different policies carried out by the Nazi regime toward various groups of people; however, these distinctions should not be presented as a basis for comparison of the level of suffering between those groups during the Holocaust. One cannot presume that the horror of an individual, family, or community destroyed by the Nazis was any greater than that experienced by victims of other genocides. Avoid generalizations that suggest exclusivity such as “The victims of the Holocaust suffered the most cruelty ever faced by a people in the history of humanity.” Intentions and means used are different in different genocide, and reflect the historical context of the genocide. These are factors which can be compared. Just because a historical event took place, and it is documented in textbooks and on film, does not mean that it had to happen. The Holocaust took place because individuals, groups, and nations made decisions to act or not to act. By focusing on those decisions you gain insight into history and human nature and can better help your students become critical thinkers. Related links: Exploring the Evidence, The Holocaust, Cambodian Genocide, and Canadian Intervention and United Against Genocide: Understand, Question, Prevent pedagogical guides. Click on the picture below to access an interactive timeline. 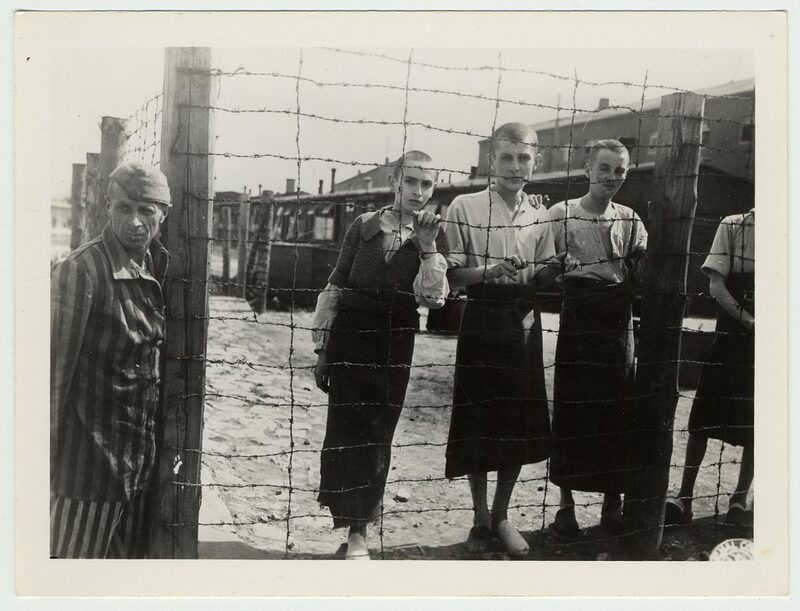 Simulations are pedagogically unsound because they trivialize the experience of victims and disconnect the Holocaust from the greater context of human history. Simulations may also leave students thinking that they actually know what it was like to experience the Holocaust. Simulations also oversimplify the complex nature of the Holocaust and human behavior, creating an impediment to developing critical thinking skills and historical literacy. Do not forget to consult our educational programs specifically designed for middle and high school students on this page.